When making a custom shirt you should figure out which method is going to work best for you. That’s why StickerYou has put together some simple rules to follow to make your decision easier. Custom Iron-Ons are great if you are the DIY type. They are hands-on, which is always more fun, and less expensive than screen printing when you are doing a small run. If you need more than 100 custom shirts then you may want to consider screen printing, but if you need fewer shirts than that and some time on your hands then Iron-Ons are the way to go. You also want to use Iron-Ons to customize a piece of clothing that you already own. 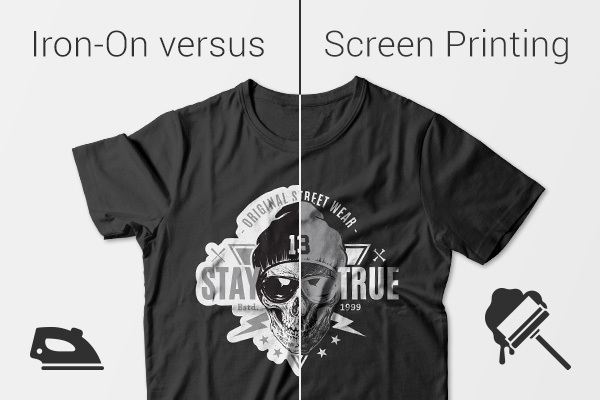 Usually, screen printers will provide shirts at an added cost, or make you purchase the shirts from them. If you already have a shirt, then all you need is the iron-on. Alternatively, you could just source cheap clothing at a second-hand shop and use an iron-on to up-cycle some classic items. 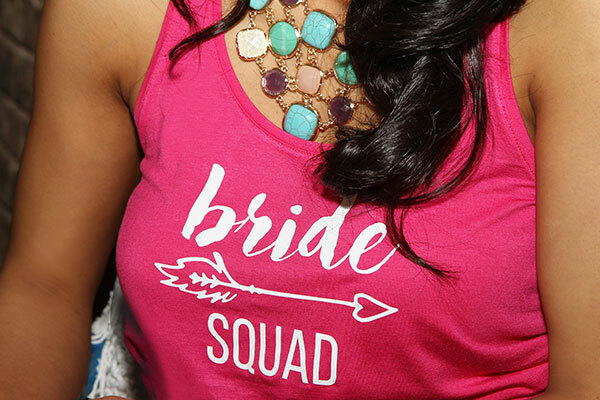 When you want to create a small run of shirts, or when you want to celebrate an event, we feel that Iron-Ons are the way to go. Printing on one or two shirts can be very costly due to set-up fees so if you want to supply over 100 colorful shirts for a charity event then you would want to consider screen printing. 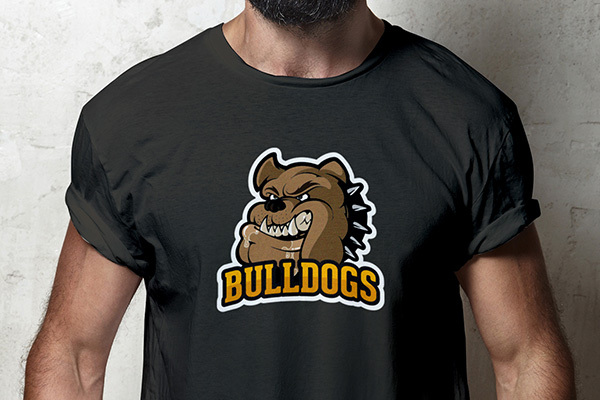 Even if you are doing a larger run of shirts, if you only have a small logo then you may want to use Custom Iron-Ons as well since you can fit many iron-ons onto a single sheet and reduce the cost significantly. Iron-ons keep costs low and give you more freedom with the placement of your design. 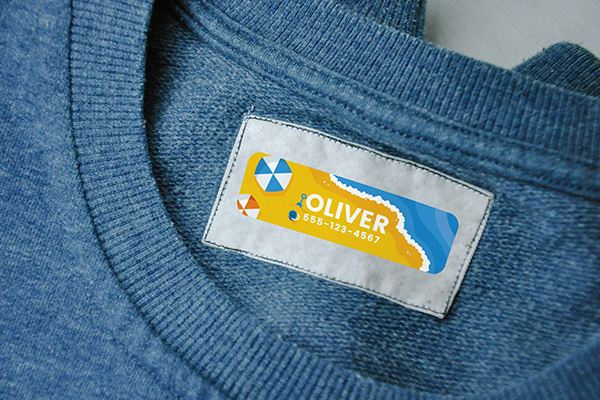 You can also get Custom Iron-On Labels and brand your shirts to make them look like they were made by a professional designer. Get as creative as you want and start designing now!